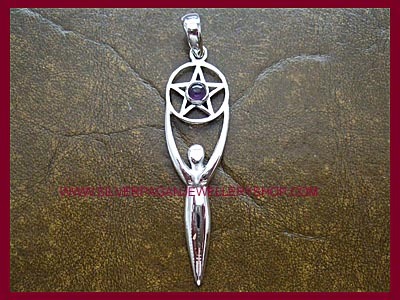 Have just received my pendant (before 11am) this morning; that's some super speedy delivery as it was only posted yesterday, but then having shopped with Silver Pagan Jewellery Shop in the past I already know how great their delivery service is; if you don't already have them bookmarked on your browser bar as your first port of call then you really should do. The pendant is gorgeous. I was worried it may be a bit thin and flexible, but it's exceptionally solid and really well made, without being heavy, so it will hang lovely on a silver chain (or cord if you prefer) without clonking against your neck/chest. I often find with pendants the link joining them to the chain is a small circle that you can see the join in (and often these joins will undo over time, so I always make a point of getting some pliers to squeeze them tighter together) - I won't have to do that with this item as the link is solid, the join invisible and there's no way it's going to come apart; the only way you could lose this pendant is if you use a flimsy chain or put it somewhere *safe* yourself. It is really well made. 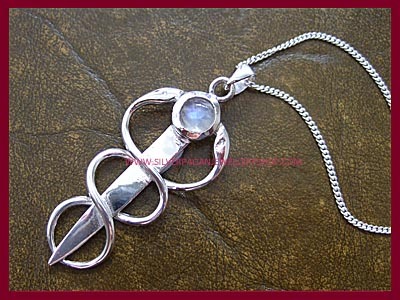 The other thing I look for is the joins (where the snake is attached to the dagger? part) and these are also invisible; sometimes with joins you can see lumpy solder marks - but you won't be able to find them on this. 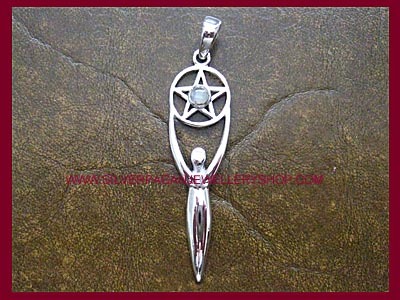 It's almost as if the whole pendant was crafted from just one solid piece of silver. The other lovely thing is the little velvet pouch the pendant was delivered in. 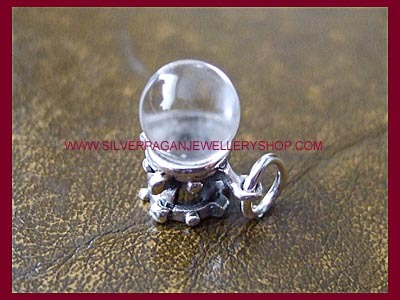 It's those little touches that make Silver Pagan Jewellery Shop stand out against other retailers selling the same products. I can't wait to attach it to a chain and begin wearing it.